The project increased the size of Victoria's rail network by laying 90 kilometres of new track. It also provided a new set of dedicated tracks from West Werribee to the Southern Cross Station in central Melbourne via Sunshine, allowing regional services to run directly into Melbourne. The project included the construction of two new platforms at Southern Cross Station; new train stations at Wyndham Vale, Tarneit and West Footscray; the upgrade of the Sunshine, Tottenham, Footscray, and Southern Cross Stations and the removal of two level crossings at Anderson Road in Sunshine. The project also removed at grade road and rail intersections. The project increased capacity and reliability for Geelong, Ballarat and Bendigo regional rail services. Trains from these regional centres are now able to operate into Melbourne without being delayed behind suburban trains. 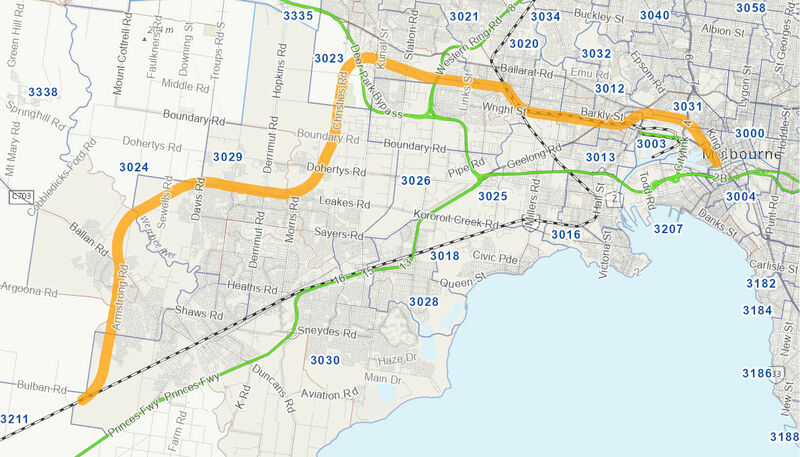 The project increased capacity for extra suburban services from Werribee, Sunbury and Craigieburn along Melbourne's western growth corridor. The total cost of the project was $3,650 million. The Australian Government contributed $2,718.5 million and the Victorian Government $931.5 million. Construction commenced on 1 August 2009 and was completed on 30 November 2014. The project opened to commuters on 21 June 2015.